The Individual Deposit Guarantee Fund on June 6 started the process of liquidation of Kyiv's insolvent Khreschatyk Bank in accordance with the decision of the National Bank of Ukraine (NBU) on revocation of the banking license and liquidation of the financial institution. The liquidation process will last until June 5, 2018, the Fund reported on its website. As UNIAN reported earlier, the Individual Deposit Guarantee Fund introduced the provisional administration at the bank after the NBU declared it insolvent on April 5. The Fund had estimated the amount of compensation payments to be paid to Khreschatyk Bank's depositors at UAH 2.8 billion. Read alsoDeposit Guarantee Fund reveals Khreschatyk Bank managers' crimesKhreschatyk Bank has been operating in Ukraine since 1993 and has been one of the twenty largest banks in terms of assets. The bank's major shareholders are Andriy Ivanov with 37%, Kyiv City State Administration with 25%, Mykola Soldatenko with 24%, and some minority shareholders. After the introduction of the Fund's provisional administration at the bank, Kyiv City State Administration said it had made a relevant appeal to the law enforcement agencies and the State Fiscal Service regarding the bank's bankruptcy on the basis of the minority shareholder right. Read alsoNABU probes National Bank in UAH 12 bln embezzlement caseSubsequently, the law enforcement agencies had appealed to the National Bank that claimed it possessed information indicating the bank's involvement in organized criminal activity. 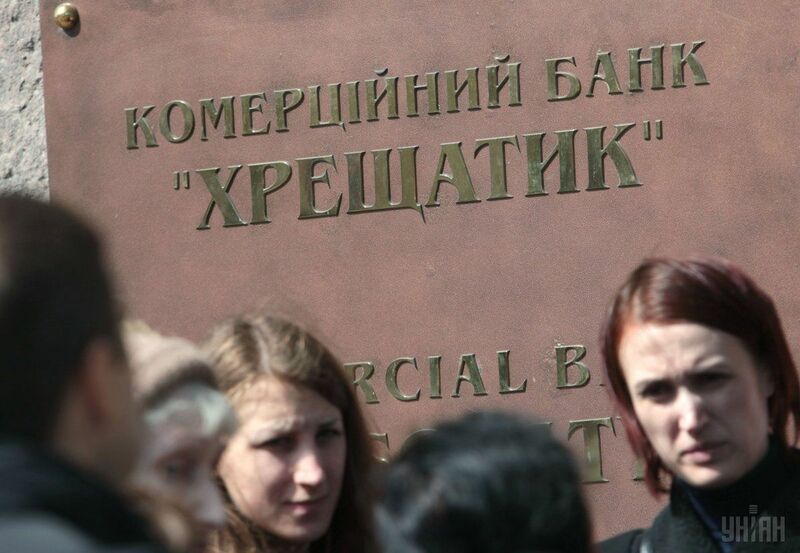 On May 27, the Individual Deposit Guarantee Fund suspended payments to depositors of Khreschatyk Bank to finalize the list of depositors entitled to compensation during the liquidation of the bank.